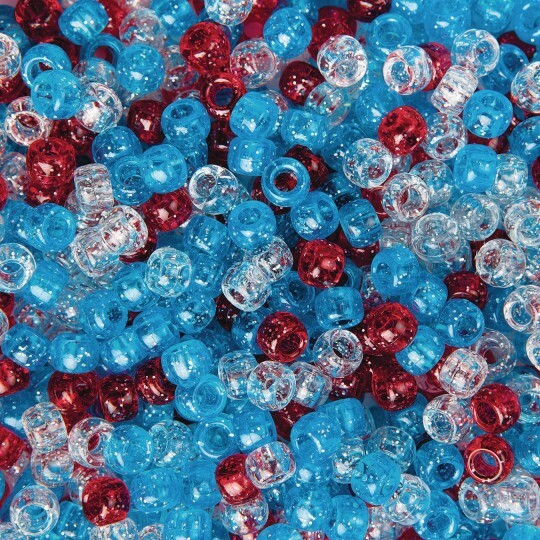 The perfect patriotic bead mix! Transparent pony beads in red, clear, and blue all with the sparkle of silver glitter make this the perfect patriotic bead mix! Plastic beads measure 9 x 6mm with large 4mm holes for easy stringing! Approximately 900 beads per 1/2-lb bag. Made in USA.